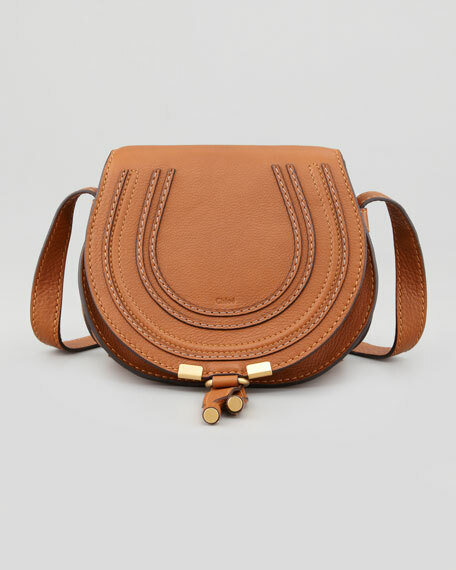 With its pintucked horseshoe flap, the Chloe Marcie mini saddle bag invites you to make your own luck. 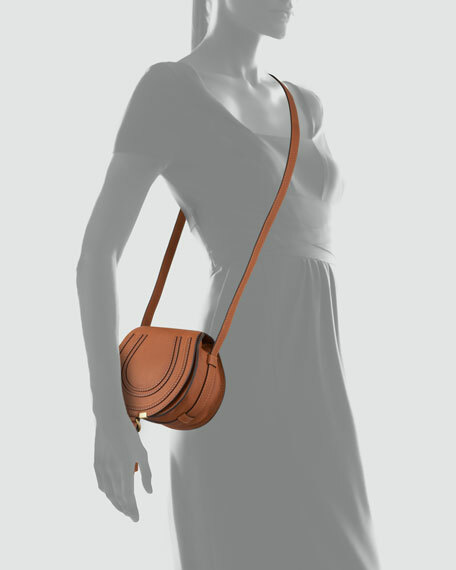 Tan pebbled leather adds deep color and supple texture to this fuss-free crossbody design. 6"H x 7"W x 3 1/2"D.